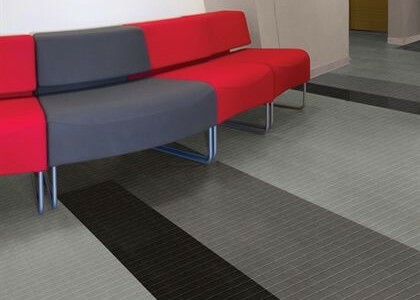 Mimics more expensive flooring at a fraction of the cost. 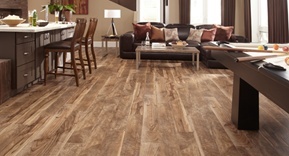 Comes in planks or tiles. 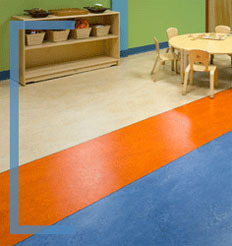 Durable construction performs well in both residential and commercial applications. 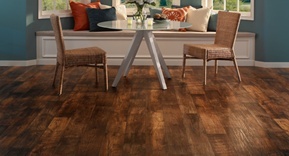 Designs include natural stone , hardwood and enhanced texture and color options, LVT offers realistic photo replications at a much lower cost. 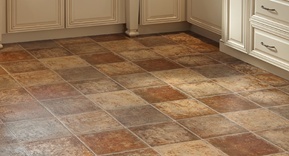 Can be installed over existing flooring or direct to subfloor. 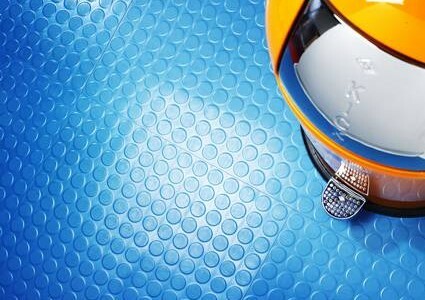 Unmatched cleanability, slip resistance and deflection – engineered for superior performance and durability. Sleek design, vibrant color choices, and improved textures. 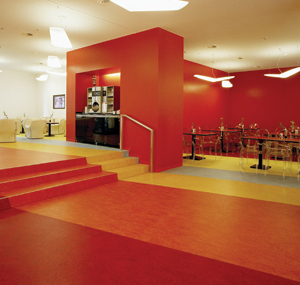 Rubber Flooring and stair treads can bring high styling to any floor. 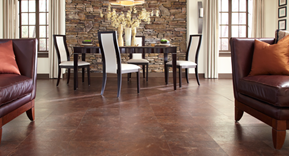 Available in both residential and commercial applications. Engineered for long term beauty and performance. Comes in endless colors, textures and styles. 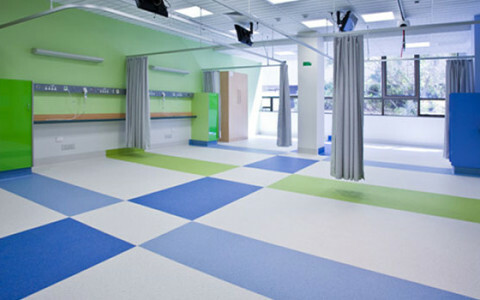 Low maintenance floor with superior appearance, cleanability, durability and slip resistance. 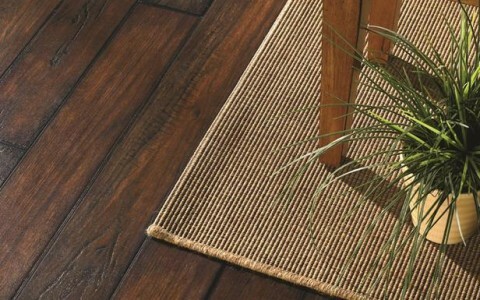 All natural flooring. 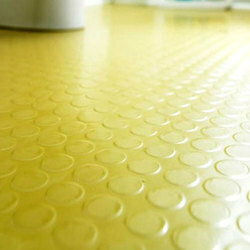 High durability, high quality and beautiful, innovative design. Available in a wide array of colors, patterns, and styles. 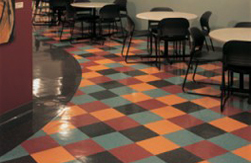 Can be combined with different colors and patterns to create a sleek custom floor. Very resistant to moisture. Nearly maintenance free. 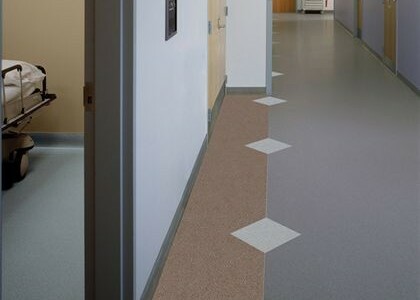 Linoleum flooring can also handle high traffic without significant wear and tear. 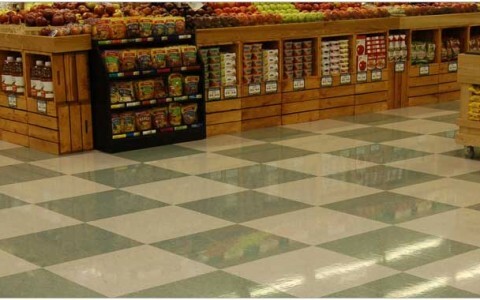 Inexpensive flooring solution. Often used in commercial and industrial application. Endless pattern options. Requires maintenance.